Meet Toni. Incredible woman who battled infertility for 9 years, survived cancer and now is a mother to seven children. Listen to her remarkable story! Our GIVEAWAY this week has been sponsored by Will and Fox! I just had my Will and Fox reusable swim diapers arrive from Amazon a couple weeks ago, and I have been loving them at our trips to the pool! For this GIVEAWAY the winner will receive a free swim diaper as well as a swim headband (that comes with ear plugs)!! All you have to do is head over to our podcast on your Apple Podcasts app (iTunes), or Stitcher app and give us a rating and a review. We'd love it if you would also subscribe (always free!!) so you don't miss any of our episodes. Here is a little tutorial on how to do that on your Apple Podcasts app. 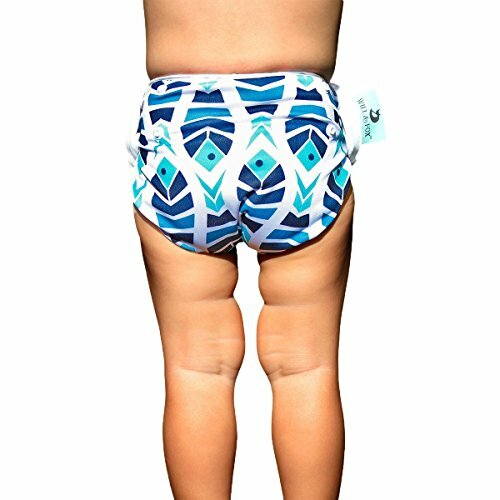 Reusable Swim Diaper Baby & Toddler Girls & Boys (Adjusts 0-36lbs) Huge Range!